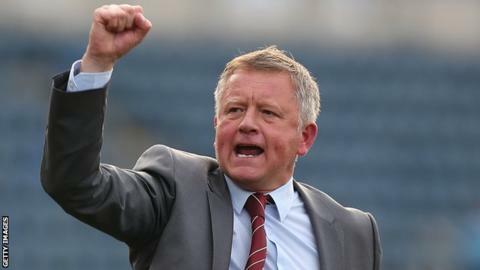 Northampton Town boss Chris Wilder says the Johnstone's Paint Trophy should be scrapped as fans are not interested. On Tuesday 2,254 fans saw the Cobblers defeated at Millwall, almost 6,000 less than attended the last match at The Den against Rochdale in League One. "Sack the competition. There's a chance to get to Wembley, but that's so far down the line," said Wilder. "I'm not a lover of the competition. I think we play enough football, we've got the League Cup and the FA Cup." To reach the Wembley final - which was played in front of 72,315 supporters as Bristol City beat Walsall in March - League One and League Two teams need to negotiate six matches, including a two-legged area final on top of their 46-game league season. Only 1,366 went to the Cobblers' first-round home game against League One side Colchester, compared to their season average last term of 4,599. "Something's got to happen to spice it up a little bit," Wilder continued to BBC Radio Northampton. "Our (first-round) game against Colchester, nobody was here - you look at all the crowds, it only really gets going in the area final and Wembley; that's three games. "I understand you have to play well to get to that stage, but I think something's got to be done about it. "The biggest thing for all football is the participation of the supporters, so if they don't fancy it, why do the clubs fancy it? It's not cheap to get to football." Read more on Euro 2016 qualifying: Who's in, who's in danger, who needs what?